Russian Presidential Spokesman Dmitry Peskov has praised Turkey for its "uncompromising position" with regard to the purchase of S-400 air defence systems from Russia in spite of U.S. pressure, pro-government Islamist Yeni Şafak newspaper reported on Sunday. "In fact, there is not a lot of countries that act independently. Russia and Turkey are among such countries. The pressure that is being applied is unprecedented. We welcome this… a rather rigid and uncompromising position taken by [Turkish] President [Recep Tayyip] Erdogan", Peskov said during a programme aired by Russia’s Rossiya-1 TV channel. The statement arrives as U.S. lawmakers continue to warn Ankara that its purchase of the Russian system could lead to U.S. sanctions and place Turkey’s involvement in the F-35 fighter jet programme at risk. According to Washington, Ankara cannot have both the American fighter jets and Russian defence systems on grounds that it would be compromising on the security of the systems. Washing has been persuading NATO-ally Turkey to buy Raytheon's Patriot defence systems instead. 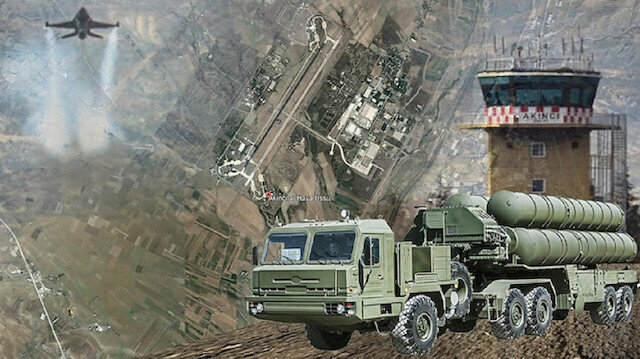 Ankara has repeatedly stressed that the agreement to purchase Russian S-400 air defence systems was a "done deal". Earlier this month, the United States stopped shipping equipment related to the F-35 stealth fighter aircraft to Turkey, in what has been the first concrete step Washington has taken to block delivery of the jet to its NATO ally. Kremlin SÃ¶zcÃ¼sÃ¼ Peskov, 'S-400 konusunda gerÃ§ekten eÅi gÃ¶rÃ¼lmemiÅ bir baskÄ± var. CumhurbaÅkanÄ± ErdoÄan'Ä±n sert ve kesin bu duruÅunu memnuniyetle karÅÄ±lÄ±yoruz' ifadesini kullandÄ±.